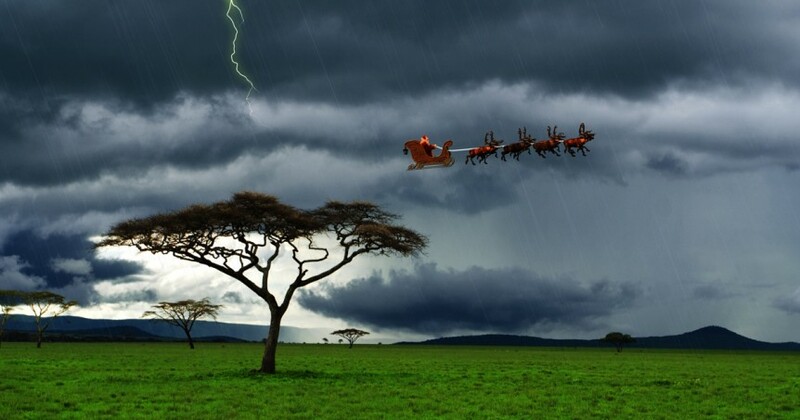 Santa Claus was spotted by our I Spot Santa video elf, Charlie, in the Serengeti of Tanzania. As a storm approached Santa showed his flying skills in the rain, nothing can stop Santa from spreading the spirit and joy of Christmas. There is over 120 languages spoken in Tanzania and they are mostly called bantu languages. How many languages can you speak Santa Spotters?